Traditionally a tool for family wealth preservation has been a trust. However successive governments have cut down their tax benefits. This led to a rise in debate about the benefits of using a family limited partnership instead. Although many advisers talked about these partnerships, comparatively few had clients who implemented them. Their relative lack of popularity may have been was due to concerns about collective investment scheme legalisation and the professional costs of their maintenance. A Family Investment Company (FIC) is a UK resident private company whose shareholders are almost invariably entirely made up of family members. Assets are transferred into the FIC and those assets generate investment returns which can be used to provide family wealth or can be directed to be used for things such as payment of school fees. With the UK having a low corporation tax rate of 19% (and which is forecast to drop even further) there has been a rise in interest about family investment companies. They are typically used to spread wealth throughout the family or as inheritance tax efficient vehicles. As they are structured around UK companies, the foundations on which they are built are well understood, easy to implement and have low annual compliance costs. 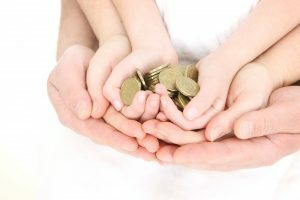 How does a Family Investment Company work? Typically the founders transfer cash into the company in exchange for shares and loans. Non-cash assets such as property can be also transferred into the company but this may lead to stamp duty land tax or capital gains tax concerns. The founder can then gift shares of the company to other family members as a potentially exempt transfer. There would be no inheritance tax consequences on the donor if they survive seven years following the date of the gift. Assuming that the gift occurs soon after creation of the company then there are no capital gains tax concerns for the donor. It is common for the Articles of the company to be drafted so that the donor retains control over the company and this is where the company can operate like a trust. One of the advantages of a FIC over a trust is that some people feel they have more direct control through share ownership than the less tangible control that they have over trust assets. If the FIC generates rental or interest income then this will be taxable at the low UK corporate rate of tax. Dividends received by the FIC could be tax free. There is tax payable on distribution of assets out of the company. However with the first five thousand pounds of dividend being tax free and a follow on rate starting at 7.5% this may not be a concern. Even the highest rate of dividend tax is lower than the 45% rate currently applied to trusts. A FIC should be considered a medium to long term strategy in the same way as a trust is considered a long term strategy tool. As a FIC is based on a UK company there are Companies House filing requirements, including annual accounts which will be on public record. Public filings can possibly apply the reduced disclosure of abridged accounts (where permitted) or consideration maybe given to using an unlimited, and not a limited, company. It may be felt a reflection of the UK government’s strategy on low corporate taxation that a UK company, for the benefit of UK individuals, may be an appropriate, low risk and tax efficient holding vehicle.